Chess Set: Renaissance, metal, 5-1/2" King. 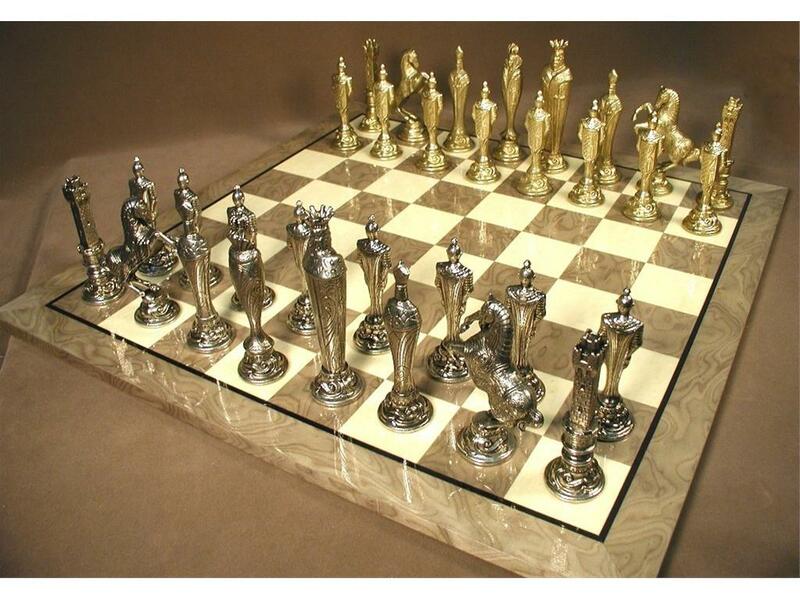 Chess Board: 22" Glossy Grey Briar veneer & Ivory Glossy Board, with thin frame, 2-3/8" squares. Made in Italy & Spain. Page P4309 Copyright © 1999-2019 GammonVillage Inc., USA. All rights reserved.